Massive hurdle of Auckland infrastructure issues needs to be overcome before the city starts to suffer, a real estate agency head is warning. There’s no avoiding Auckland’s severe housing shortage and record migration flows into the city mean there will be no let-up in demand for some time. This means that it’s a problem which is not going to just go away. But Harcourts CEO Chris Kennedy said that Auckland needs to effectively address its infrastructure issues before making decisions about development. For Aucklanders, one of their biggest concerns is congestion on the roads and inadequate public transport which make the city a stressful and unpleasant place to navigate, he said. “There is no easy fix to this and the situation will get worse if large scale development starts occurring across the city. Kennedy said doing this would come at a large cost but, as it is critical time for the city, there is no alternative. “If we get things wrong now, we risk parts of Auckland becoming pockets of ill-thought out, ugly and poorly-made construction. 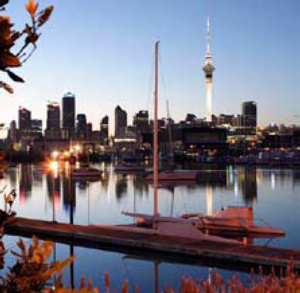 To this end, future construction should be well-planned, high quality and in line with the overall aim of making Auckland a beautiful and liveable city. But that means ensuring there is adequate infrastructure to keep pace with the city’s growth, Kennedy said. A pause in Auckland’s growth while the city catches up to where it needs to be in terms of infrastructure, is vital, he said. “Once the infrastructure is in place to support growth, then higher density, high-quality housing construction could, and should, start. The Christchurch rebuild is an example of what is possible in a short space of time, Kennedy added. Infrastructure funding is a hot topic at the moment. Labour Party housing spokesperson Phil Twyford this week proposed the creation of a Treasury unit which would provide very long-term infrastructure bonds paid back by targeted rates. Auckland mayor Phil Goff is keen on the introduction of a targeted infrastructure rate for new large-scale developments, while the Government is currently accepting council applications for its Housing Infrastructure Fund.